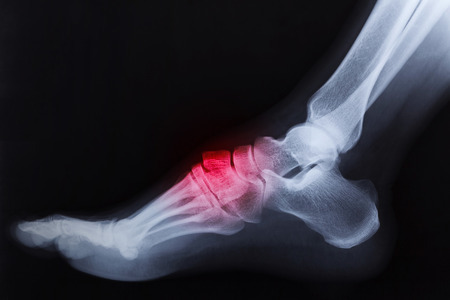 Bad Formation — Achilles Foot and Ankle Surgery, P.C. People who suffer from deformities of the foot and ankle sometime find it hard to walk normally or participate in day to day activities. If a deformity is caught early enough, podiatrists are able to help a child through supportive or surgical care and make their deformity more tolerable. Sometimes orthotics are even used to help out. One deformity known as dysplasia can have these effects and can affect patients for their entire lives. Dysplasia affects the hands and the feet as they grow and develop over time. The word dysplasia literally means bad formation which is how it received its name. In the feet, dysplasia is characterized by excessive growth of cartilage in the bones. This disorder is so rare that it only affects one out of one million people. Dysplasia is a noncancerous condition. Although it is benign, there is no cure for this condition. Most podiatrists believe that dysplasia is due to genetics. No other information for the cause of dysplasia has been uncovered. Most of the time dysplasia affects children between the age of 3 and 15. Dysplasia is diagnosed by a podiatrist through an examination or X-ray during early childhood. Those who suffer from dysplasia will not find a cure. Fortunately, there are supportive methods available to prevent pain from the disorder if pain is present. Orthotics, physical therapy, stretching and medication can all be used to help manage these symptoms. Sometimes if the dysplasia is severe, a surgery would be recommended to correct the deformity and make walking easier for a patient. Sometimes people who suffer from dysplasia will not experience pain at all. If you have swelling, tenderness or pain in the foot, then you should see a podiatrist immediately. These symptoms can be a sign of dysplasia and should be treated with caution. Call Achilles Foot and Ankle Surgery, PC located in Martins Ferry, Ohio and St. Clairsville, Ohio, as well as Wheeling West Virginia. There Dr. Bruce G. Blank and his staff can will help treat your child’s dysplasia. Call 740-633-4188 or make an appointment online today.